On Home Depot where you can now get this Glacier Bay Brenner Single-Handle Pull-Down Sprayer Kitchen Faucet for just $74.88 shipped (regularly $139). 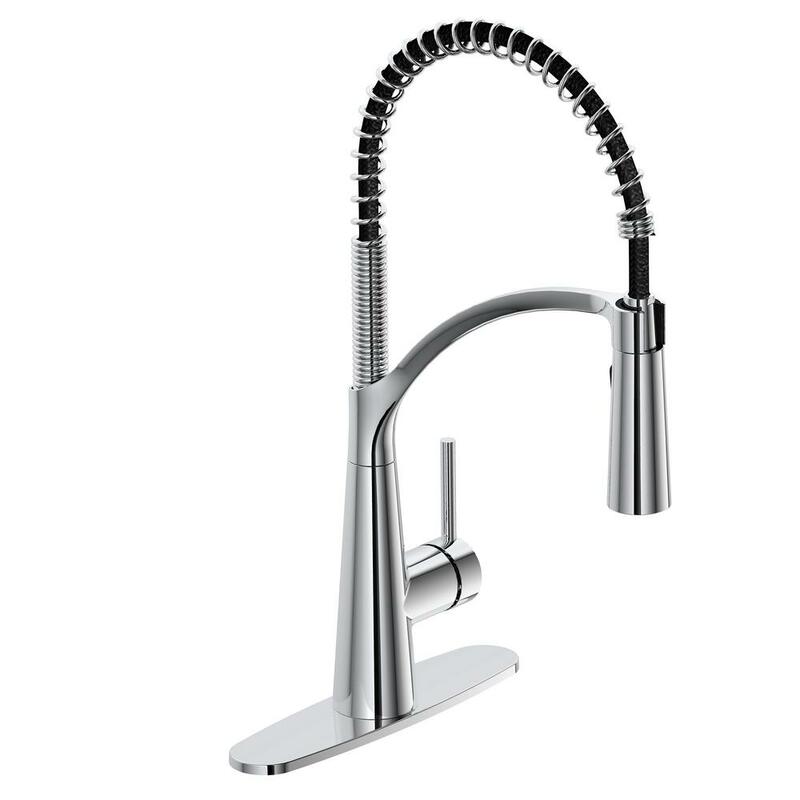 This kitchen faucet has a spring-neck design that allows for flexible functionality so you can easily spray water where it is needed. It has a durable chrome finish and fits sinks with 1 or 3 hole installation.